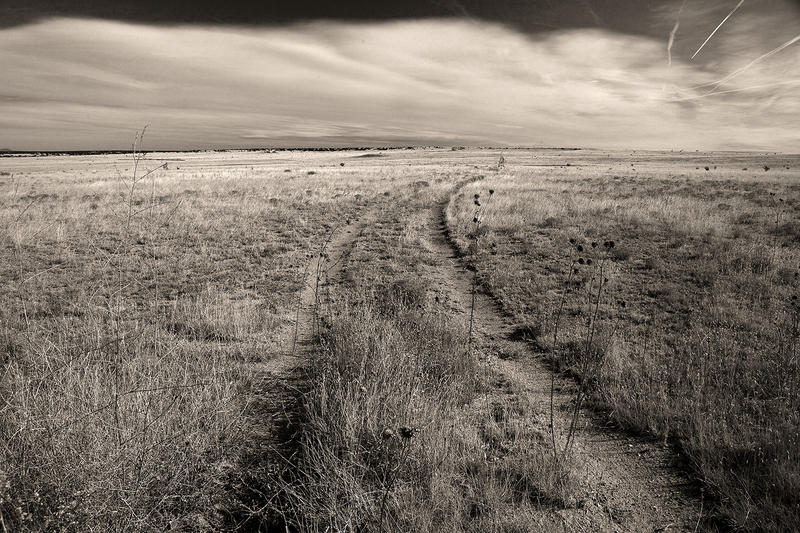 If you cross parts of the great American prairie, you can still see the ruts of the wagons that crossed the vast wilderness on their way to the west. Those ruts have been superseded by ribbons of concrete and asphalt that stretch from sea to shining sea and remind you of where we have been and where we have yet to go. On the other hand, you can scour the oceans as long as you want and you will never find evidence that the mighty submarine warship USS George Washington was there. From the minute she started her first underway in 1960 until she was decommissioned on January 24, 1985, her path was largely undetected with a few notable exceptions along the way. That part of her story was long after I left her and will remain for another day. 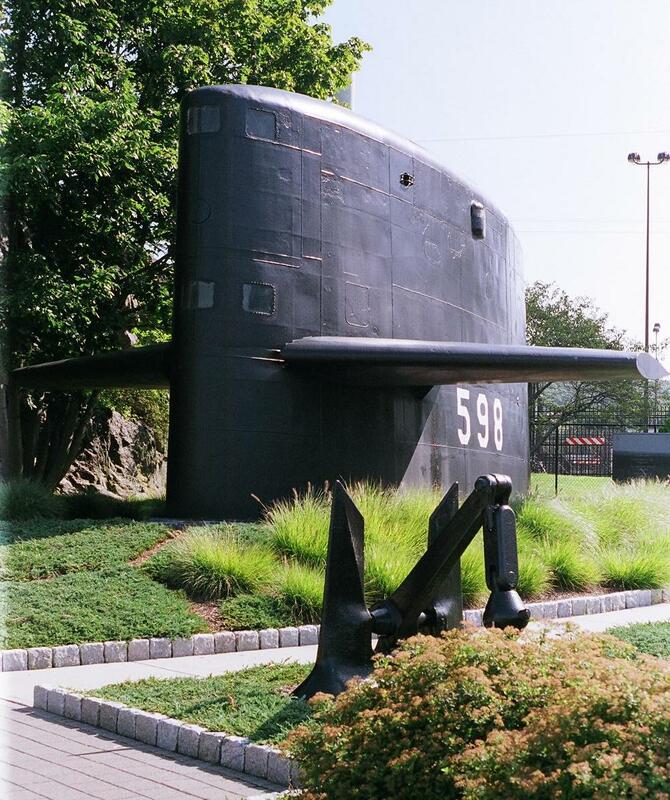 Any submariner that follows the story knows that she was the lead class of the first Polaris submarines. 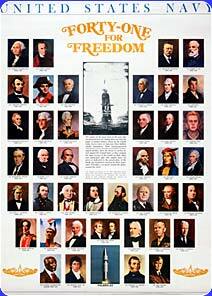 These submarines paved the way for the group of boats known as the “Forty One for Freedom” boats. Each succeeding hull number series brought greater capabilities and more powerful weapons. But through it all, the Georgefish sailed on and played her role. She sailed in the Atlantic and the Pacific and places unknown for a few generations of sailors. 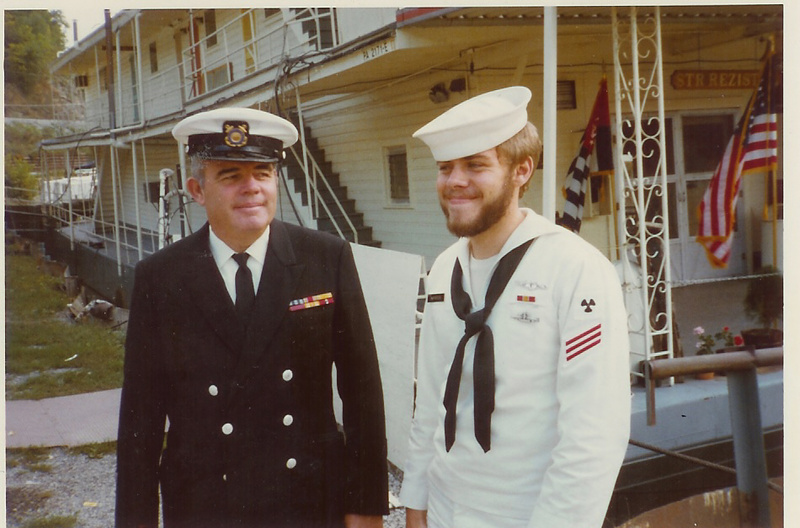 I was assigned to be an Auxiliaryman in 1973 and spent two years learning about the boat, about submarining in general and about myself. I would like to say I did things that were heroic and memorable but that would be a lie. Like most submariners of that age, I mainly just did my job. Not that there weren’t interesting times. 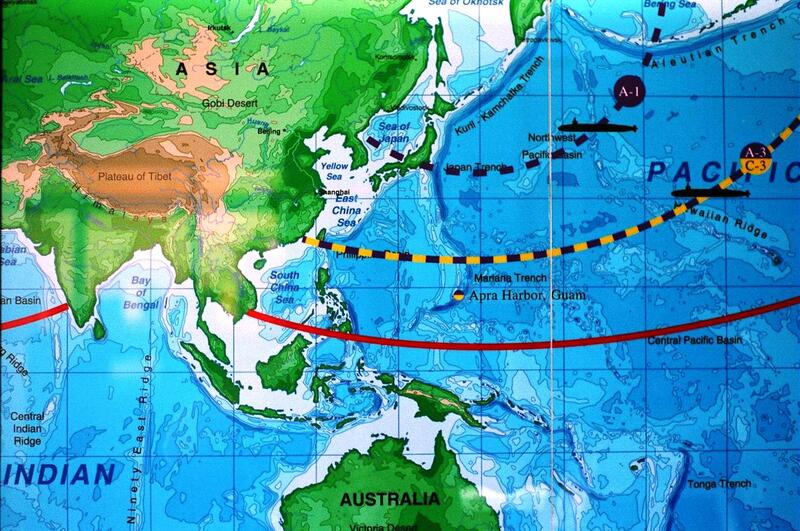 We sailed out of Guam and I the early seventies, Guam and Mother Nature treated us to a couple of typhoons. The Vietnam War was ending and the Cold War was heating up so we had a lot of company on our way into and out of Guam. Those Soviet fishing boats liked to show us how well they could navigate while listening for telltale signs of submarine sounds. Even when we got on station, we knew that there would be great challenges. Submarines sometimes came closer to the surface for different reasons and the enemy had many faces. Some of those faces were actual patrolling craft and sometimes the enemy took the form of great open ocean storms. When I first reported aboard, I learned about how life is ordered. If you are new and not qualified to do anything, sleeping was more of a rare privilege than a right. You can’t imagine how low you are on the food chain until you have to clean out the trash compactor room with all of the smells that still manage to come back after over forty years. When things need to be quiet, trash accumulates quickly and the stench fills your nose. There really is no place to go that you can avoid that odor when you are working in the scullery so you just learn to talk yourself out of being sick. The bunk that I was assigned was directly below the scullery. Since the scullery wasn’t watertight, often the liquids would come down the long shaft of the TDU (trash disposal unit) and settled near where I slept (when I actually got to sleep). I have to be honest, I was not aware how lucky I was to have a rack at the time but in retrospect, I remember being extra careful to clean my space and keep it spotless. After a tour as a mess cook, it’s off to the helms planes station. Compared to the diving stations I see on the modern boats, ours looked like something out of an ancient handbook. We had manual depth counters, a rudder angle indicator, an actual bubble inclinometer and two colors: white when it was light and red lights when it was rigged for red. You learn what ultimate boredom is and sheer panic is while sitting in the same seats. You also learn to control them both. The boredom on an old boomer is traveling at a set speed for days on end, sometimes varying your depth, always following the compass to you next path. We kept ourselves awake with cigarettes and coffee and hot cocoa. 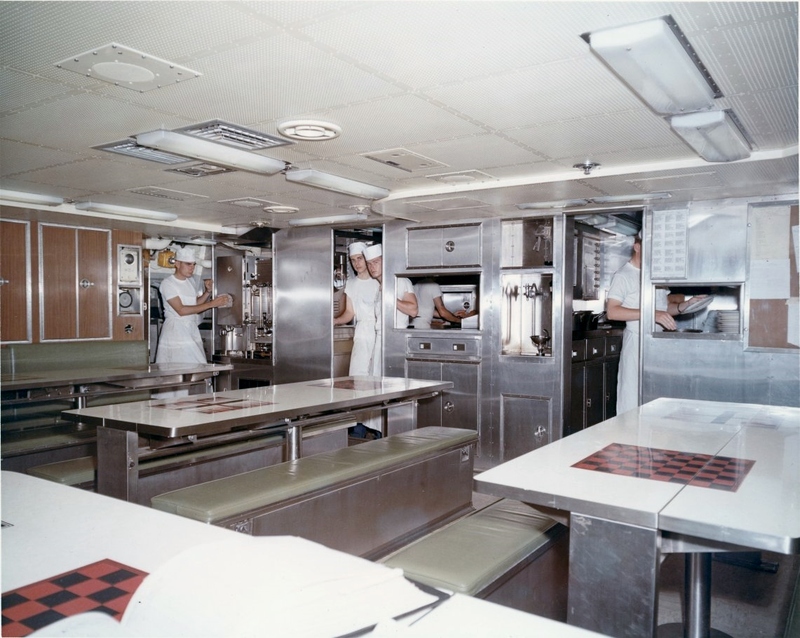 We learned old sailor stories from the more seasoned Petty Officers, Chiefs and sometimes Officers that kept us company on our long drive to nowhere. Then there would be the moments of stress. Battle Stations Missile, Battle Stations Torpedo, Collision Alarms, Fires and flooding in some of the most unusual places. Mostly drills but you didn’t always know it. You went from practically asleep to wide eyed and alert in moments as everything around you changed too. Headphone would be manned, communications between missile control, engineering and the torpedo room would come rattling across like bullets from a machine gun. During all of these, you kept focus on what was in front of you. In some cases, your rudder or planes would no longer function properly. We drilled on the back up process which was incredibly old fashioned and manual. Minutes seemed like hours. Somewhere, hundreds of feet behind you, shipmates who just minutes before may have been sleeping or eating were struggling to activate an emergency backup system and restore the ship. When an actual casualty did occur, all the discipline and practice kicked, almost as if directed by unseen hands. Men knew where to go and what equipment they would need. We practiced in the dark just in case the lights were out. We knew where every twist and turn was located so that we could get through the maze of equipment without becoming casualties ourselves. Your heart would be racing a hundred miles an hour as you took your position but you were there. Waiting if needed but ready. It paid off more times that I can tell you. The Georgefish was well worn by 1974. She had some shipyard time for repairs and upgrades in weapons systems, but some things just fell below the radar. So when she found herself in a Northern Pacific monster storm and had to go up for a communications pass, she got to test the designer’s abilities and the builder’s skills. I do not know what the size of the waves were that came rolling over us in a series of loud canon shots. I do know that the boat inclinometer was clearly indicating that every other swell took us to forty five degrees. I do know that it was black as night and the Officer of the Deck kept saying he couldn’t see a damn thing. The rudder was nearly useless in trying to keep us on course and we popped to the surface where we remained for the next twenty minutes. We were caught in a surfacing effect between the wave troughs. The missile deck superstructure was higher than the pressure hull and it worked as a magnet holding us fast on top. Then came “the wave”. It was horrendous and sounded like the loudest clap of thunder I had ever heard. I was standing back fro the dive stand near the officer of the deck when I heard the loud spraying noise coming from somewhere in front of me. Followed by loud yelling of the men caught in its path. We had all been taught from the very first that flooding and fires kill people first and submarines second. Just at that moment, the Captain came into the control room and turned the lights on. He said, there is no use having the lights off officer of the deck, you can’t see anything. Then he took the deck and the Conn. Sizing up the situation quickly he saw what had happened. The hydraulic supply line to the ram that controlled the fairwater planes had a small blow out plug in it that was supposed to protect the lines in case of over pressurizations. It worked. The 3000 PSI supply line was over pressurized when the wave forced the fairwater planes to fight against the ordered position. It did exactly what it was supposed to. My Chief was the Chief of the Watch and he isolated the line stopping the flow of oil. The planes were now frozen in the “rise” position. 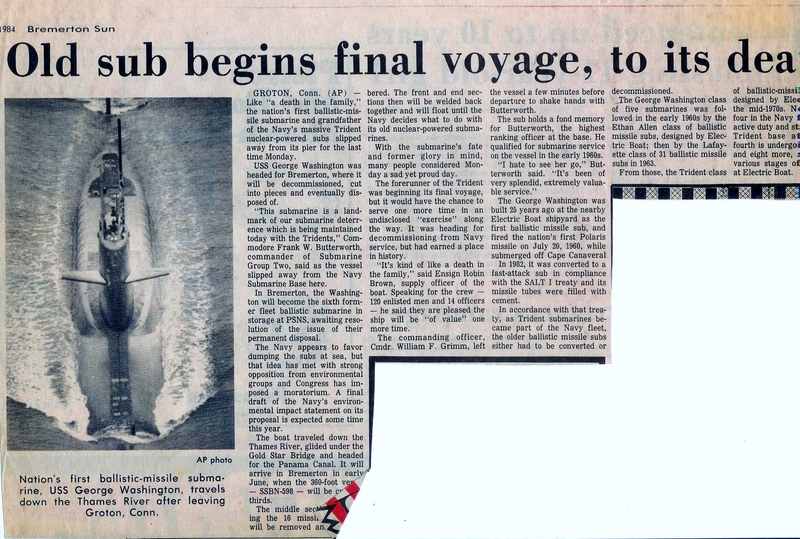 Both the inboard and outboard planesmen were covered with hydraulic oil so they were relieved and sent below. That left me (as the messenger) the only choice to sit in the outboard station and the rudder was shifter over. They were cleaning up the oil all around me as the boat continued to rock and I tried to control the rudder. The Captain ordered a massive amount of water flooded into the variable ballast tanks. Thousands and thousands of pounds of cold sea water made the boat heavier and heavier until finally, we broke the grip the ocean held on us. Now the boat began to sink quickly and as we passed 150 feet, the reactor gave up the ghost. The main propulsion for the boat comes from that single screw driven by the steam created in the reactor. But all of the wild gyrations on the surface must have affect the plant. Without that power, the huge pumps needed to get rid of all that extra water would have to sit and wait. Restoring power would take everything. As the boats downward speed increased, I remember hugging the stern planes yoke to my chest. Full rise. Trying to take advantage of any residual speed still left on the no longer responding screw. My eyes were glued to the dial that showed us slowly sinking closer and closer to test depth. I was only nineteen. I really didn’t want to die. But I also didn’t want to let go of that yoke. The Captain was behind me watching the same thing. As we approached test depth, maneuvering called on the 2MC and reported that the reactor was back on line and propulsion was being restored. We were moments away from having to do an emergency blow. If that had failed, we would have been a worse disaster than the Thresher. I didn’t think about that at the time. I just kept asking God to keep us alive. The next few hours were a blur. We came back up from the deeps and had to porpoise the boat. The fairwater planes were still stuck on full rise so I had a depth band of about 75 feet to play with. I think I got pretty good at it as they came up with a replacement blowout plug and restored the planes. I finally got relieved and was so very happy to just go and lay my head down for a while. The remainder of that trip was unremarkable. It’s funny how that works. When we returned to port and gave the boat to the Gold Crew, I was still in a bit of a haze. I wasn’t really sure I ever wanted to go back to sea. But I did. There were more adventures and other casualties along the way. A few fires, an Oxygen generator rapid depressurization, and losing the rudder ram when the end cap sheared off during another storm. Some people will say that we weren’t in a war. Fair enough. The work that many of us did was far from anything that resembled Vietnam of the Gulf Wars. I would never try and take anything away from anyone who has served in active combat where you don’t know from minute to minute if this is your last. I didn’t see my first Russian Officer face to face until a few years after I retired when a former Soviet Submariner came to Kansas on a trade mission shopping for deals on wheat. He seemed nice enough. 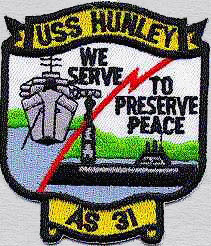 Our only real claim to fame was that in all the years we sailed, not a single missile flew with a hostile intent in mind. Lots of practice shots along the way but the very fact that we could not be pinned down must have given old Ivan a lot to think about all those years. For all of his craziness, he wasn’t too bad of an enemy. He at least understood that the one nation that has actually used nuclear weapons had enough to make any victor just as much as a loser. I was stationed in Bremerton when the Georgefish showed up for decommissioning. A lot of water had travelled over both of our hulls by that time. 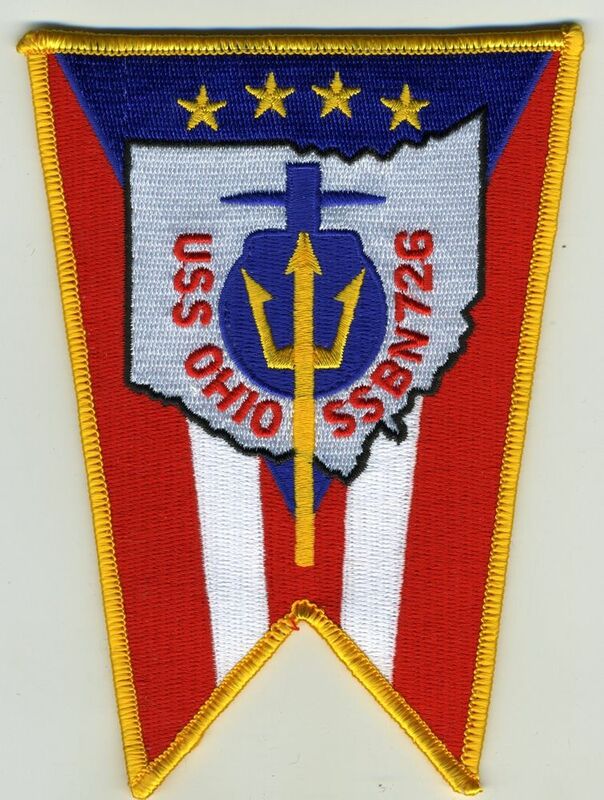 I have the distinction of sailing on the first SSBN and the first Trident USS Ohio. I can assure you that the difference was dramatic. Both filled the same role but the destructive power of an Ohio Class boomer is breathtaking. It was a very cold day in January 1985. 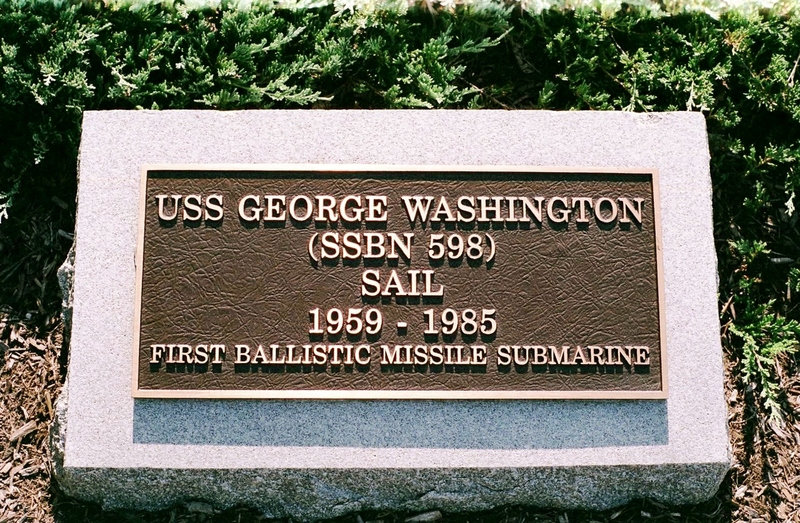 I have no idea how the Navy found out that I had been a young sailor on the Georgefish but I got a personal invitation. She looked odd sitting next to the pier with no missile compartment. I felt a loss it is hard to explain. That feeling would return decades later when I stood on the hill looking at her sail in Connecticut. But all things come to an end. Except the stories. Those will live long past the boat or the men who sailed on her. 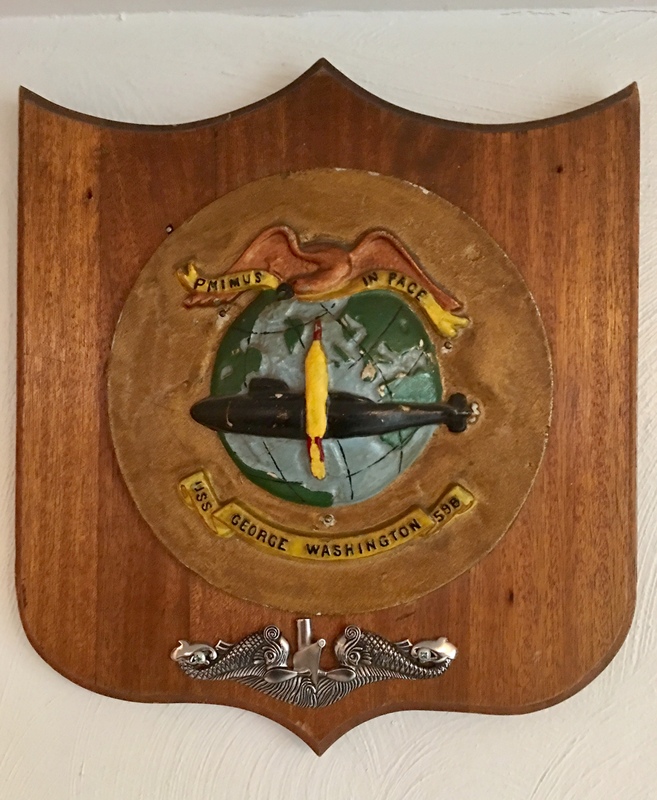 My life was profoundly influenced by my association with the men and women of America’s submarine program. I would not trade the experience for any other kind of experience the world has to offer. I am also profoundly grateful to those who taught me, accepted me as one of their own, and made sure that we never left ruts in the ocean. Thank you for your stories, Bob, I really enjoy reading them. This story brought tears to my eyes as I followed the events and almost felt like I was there. I’ve become a sentimental and emotional fool in my old age (75). 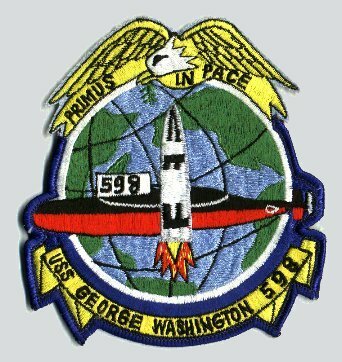 I launched (1966) and commissioned (1967) the RAY SSN-653 and took her through her first overhaul in 1971 as an EWS qualified MM1(SS). I left her and got out of the Navy in 1972 so I didn’t have to leave my family on long deployments. Those were some of the best days of my life and I have many fond memories from those days. 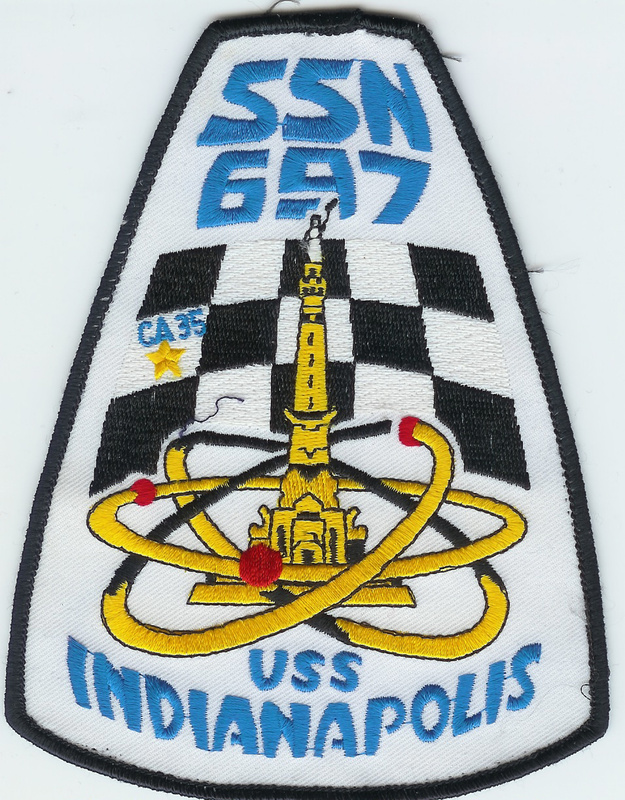 Our USSVI Denizens of the Deep vice commander and Southeast District 2 commander Wayne Phillips forwards your “Lean Submariner” stories to us via e-mail. I also follow you on Facebook.